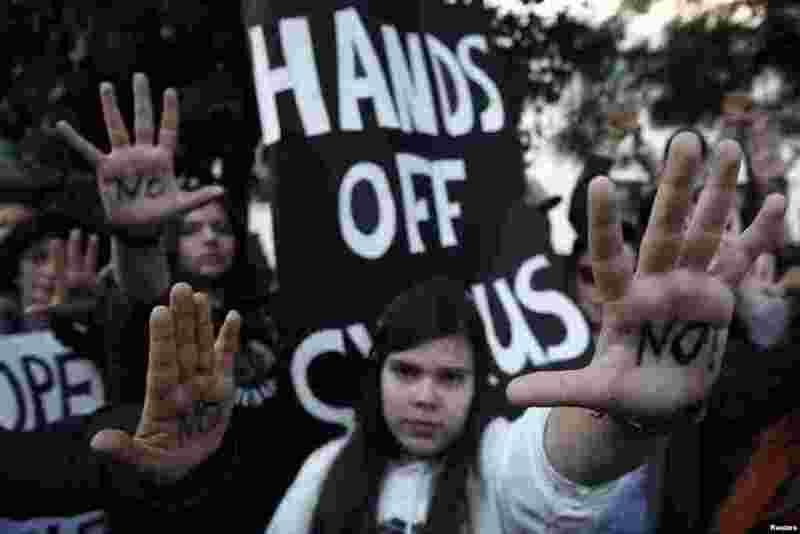 1 Protesters raise their open palms showing the word "No" during an anti-bailout rally outside the parliament in Nicosia, Cyprus. Cypriot ministers were trying to revise a plan to seize money from bank deposits before a parliamentary vote on Tuesday that will secure the island's financial rescue. 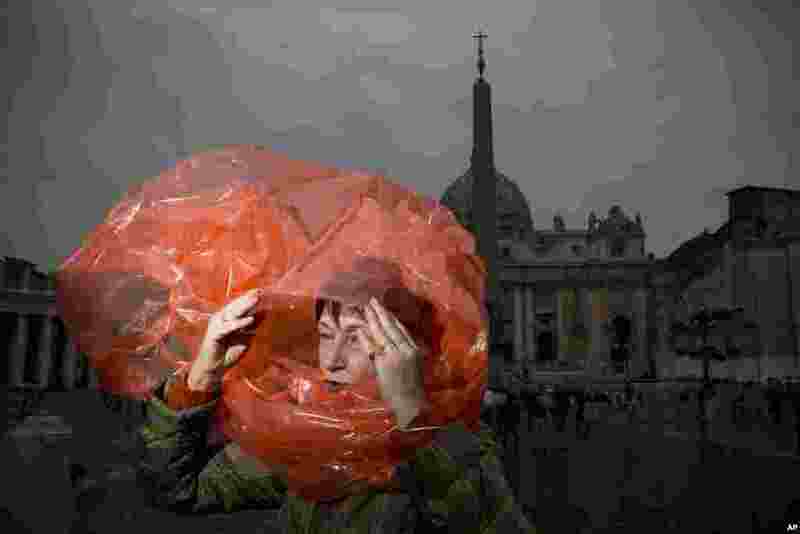 2 A woman takes cover from the rain in St. Peter's Square at the Vatican, the day ahead of the inaugural Mass of Pope Francis. In addition to more than 132 government delegations, the Vatican says 33 Christian delegations will be present, as well as representatives from Jewish, Muslim, Buddhist, Sikh and Jain communities. 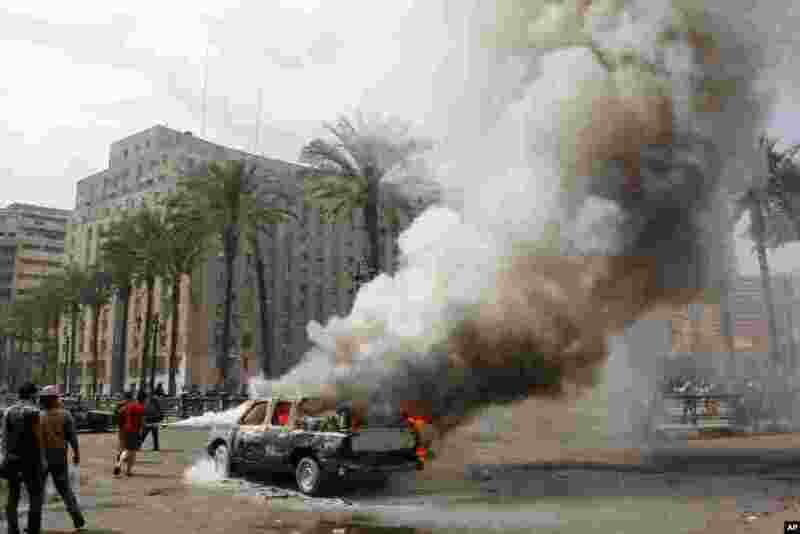 3 Egyptians extinguish a burning police vehicle, which was set afire by angry protesters in Tahrir Square in Cairo. The country is currently mired in another wave of protests, clashes and unrest that have plagued the country since a pro-democracy uprising two years ago. 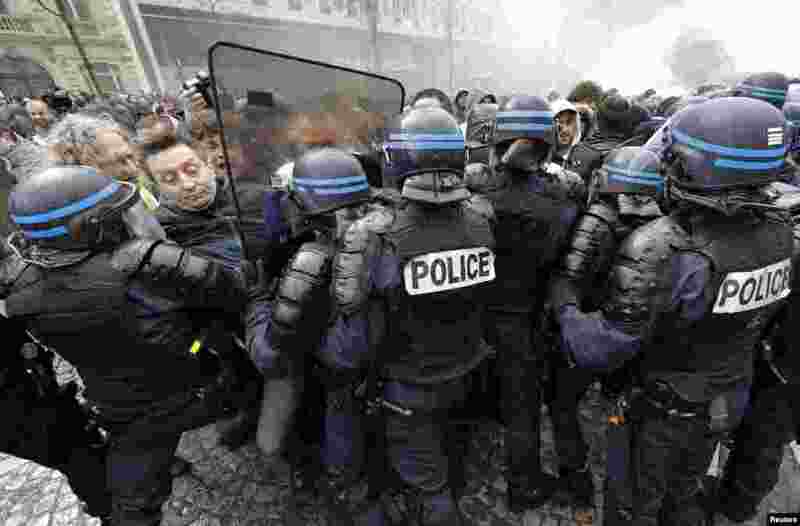 4 Employees of PSA Peugeot Citroen face French riot policemen during a demonstration in front of the Peugeot headquarters in Paris to protest the closure of the PSA Aulnay automobile plant, the government's economic policy, and industrial layoffs.